Planning a wedding in or around Nanaimo? Our experienced team at Relay Event Rentals has gathered the information and resources that you need for your big day. A successful wedding is the result of thoughtful planning and organization, and we want to help you. The Relay Even Rental Team has created an extensive list of Nanaimo wedding professionals to help make your event planning effortless. The lineup of wedding professionals includes photographers, event planners, florists, cakes, catering and event locations. Relay Event Rentals is a wedding, corporate event and private party rental company serving Nanaimo, Vancouver Island and the surrounding area. We rent a wide range of event products and equipment like tents, tables, chairs, linens, and dishware. We offer customized orders, so our clients are never pressured by package pricing. We also offer professional delivery and pick-up service. A Wee Cupcakery: Nanaimo’s first and only artisan cupcake bake shop. Big Apple Catering: professional caterers that specialize in weddings. Coastal Cake Company: specializes in wedding and special occasion cakes and delectable treats. Heaven Scent Catering: established catering and a network of great locations. Masters Touch Catering: provides customized bridal menus and a complimentary tasting dinner. Nanaimo Fairy Cakes: custom designed cakes as unique as you are. Spice of Life: established reputation for outstanding catering. Sugar Fix: Providing delicious wedding cakes and cupcakes island-wide. Bowen Park, Pipers Lagoon and Neck Point Park provide beautiful settings for your Nanaimo wedding ceremony and reception. Coast Bastion Hotel is a popular Nanaimo wedding venue, with picturesque harbour views and modern accommodations. Cottonwood Golf Course provides you with beautiful outdoor and indoor facilities, delicious menu options, exceptional backdrops for your ceremony and photos and dedicated staff. Historic Crow & Gate English Pub sits on ten acres of scenic property just outside of Nanaimo. The first neighbourhood pub in British Columbia, it’s a well-known landmark. Deep Bay Marine Field Station offers a unique location for your wedding and reception. The Grand Hotel Nanaimo provides you with attentive service, expert support and memorable cuisine. Nanaimo Golf Club offers a wide selection of menus, outdoor patio and barbeque facilities. The Nanaimo Museum provides a special experience for your wedding day. Proceeds from venue rental go towards educational programming and the exhibit. Painted Turtle Guesthouse offers a distinct wedding location providing you and your guests with accommodation, catered and self-catered options in an award-winning heritage guesthouse. Vancouver Island Conference Centre offers you magical ceremony, dinner and reception settings for every picture-perfect moment on your wedding day. At First Blush: a dynamic duo of professionalism, creativity, inspiration and classic design. Bliss: fresh creative ideas to make your special day uniquely yours. Image 2 Creation: offers a wide range of event consulting and planning services. 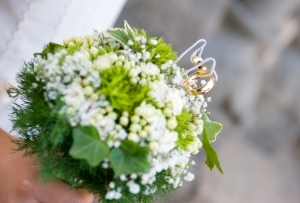 A+ Flowers is passionate about designing stunning wedding floral arrangements and bouquets for your wedding day. Balloons & Bears is a family operated shop focused on superior floral arrangements since 1995. 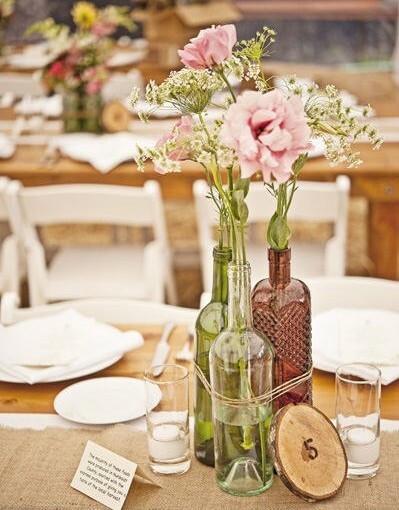 Grower Direct offers exceptional service for any budget to create arrangements that serve all your wedding needs. Turley’s Florist Nanaimo specializes in weddings of all sizes. They work with your vision and budget to create the perfect florals for your special day. West Coast Classic Floral Design designs fresh, elegant and unique arrangements for your special day. Barbara Anne Photo: Nanaimo-based photographer specializing in portrait art. Concept Photography: professional photographer with over 16 years of experience in the industry. Dianne Berry Photography: photojournalism photography. Island Moments Photography: photojournalism, traditional and fine art photography. John Stokes Photography: variety of photography styles. Joyful Images: a family team of photographers dedicated to creating memories. Julien Photography: award-winning husband and wife team of photographers. Landon Sveinson Photography: photojournalism and fine art photography. Max Conrad: Nanaimo based photographer passionate about creating and preserving memories. Nancy Shields Photography: photojournalism, fine art and traditional photography. Sterling Images photography: an award-winning wedding and portrait photography team. Stuart McKinnon: fine art and traditional photography. Tanya Greene: intimate, romantic and timeless photography. Relay Event Rentals – We’d be honoured to be part of your special day! Whether you’re hosting a few friends for an intimate backyard celebration or a few hundred for your grand fairytale wedding, we’d be honoured to be part of your special day. Contact us today at 778-441-2622 or by email at info@relayevents.ca.